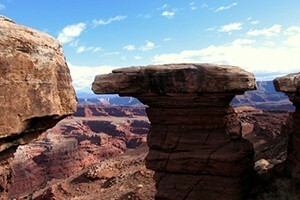 White Rim Trail treats visitors to a multi-day backcountry tour of scenic Canyonlands National Park. 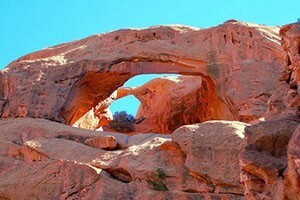 Along the route, highlights include views of Musselman Arch, Washer Woman Arch, Airport Butte, and the Colorado River. Many enjoy this trail with 4WD trucks, vans, or other off-road rigs, but it can also be riding by mountain bikers with support vehicles. Let experienced guides show you the highlights of the White Rim with a 1-Day or Multi-Day tour in fully equipped 4x4's with hikes to unique features. Trailhead: Access the trailhead from either Mineral Basin Road, or just north of Island in the Sky Visitor Center. 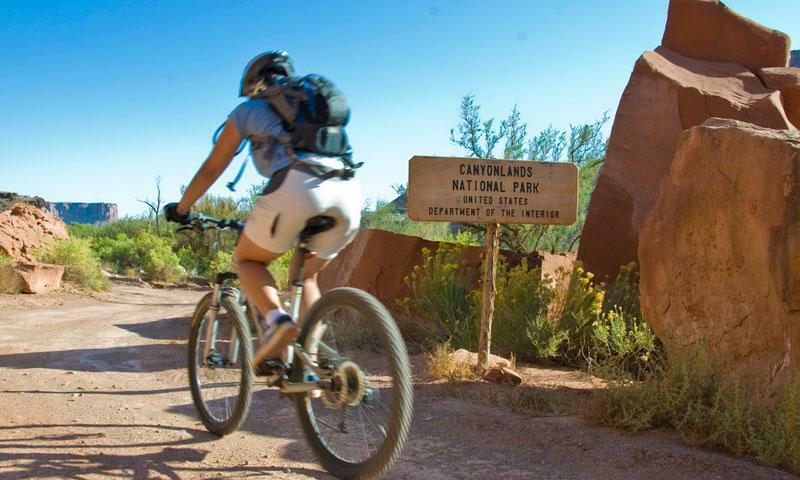 This multi-day backcountry epic is the perfect way to explore all that Canyonlands National Park has to offer. Highlights along the route include Musselman Arch, expansive overlooks of the Colorado River, Washer Woman Arch, Airport Butte, Soda Springs Basin, and views of the Green River. Depending on where you plan to start your trip, you will access to the road from different points. From Mineral Bottom Road, you’ll head west for 14.5 miles to White Rim Road. If you plan to approach from Island in the Sky Visitor Center, you’ll head north about one mile to Shafter Trail Road. Here you’ll turn right, following the road for about 5.5 miles. You''ll then right to access White Rim Road. Average Time of Drive/Ride: 2-3 days. Trailhead: Access from either Mineral Bottom Road or Island in the Sky Visitor Center. This drive is best completed in 2 – 3 days to allow ample time to explore. 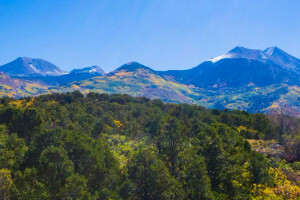 Campsites are available; advanced reservations are recommended as this is a popular route. Great off-road route in southern Utah.